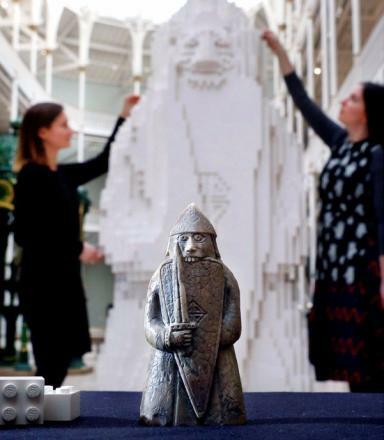 Warren Elsmore led the team building the 6ft sculpture at the National Museum of Scotland. 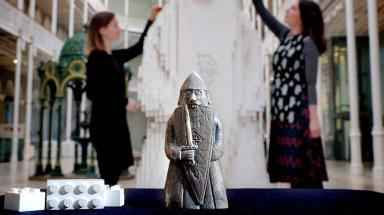 Artists have recreated one of the iconic Lewis Chessmen using 90,000 Lego bricks. Warren Elsmore led the team building the 6ft sculpture at the National Museum of Scotland in Edinburgh. They were helped by members of the public as part of the museum's Build It! Adventures with Lego Bricks exhibition. The Beserker was one of 93 ivory figurines discovered on a beach on the Isle of Lewis in 1831. They are thought to have been made in Norway between 1150 and 1200 and were on their way to be sold in Ireland when they were buried. 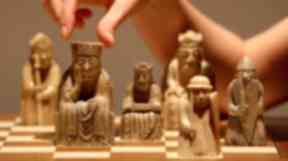 Of the 93 Chessmen, 11 are at the National Museum of Scotland while the other 82 are in the British Museum in London. A number of the figurines are expected to go on show at the Lews Castle museum in Stornoway later this year.